Do you know someone who lives and breathes off roading yet you don't have a clue what they want or need? Desert Rat Gift Cards can help! 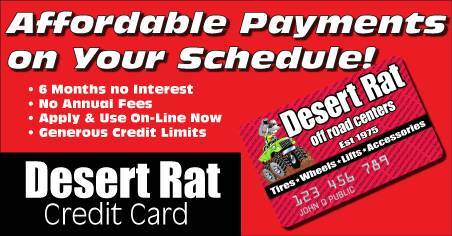 Available in 20, 50, 100 or 250 dollar values, Desert Rat Gift Cards are perfect for any occasion and they fit all vehicles!